We are excited about the future filmmakers who will jump into our industry and start experimenting. Through workshops, we have a fantastic opportunity to share our knowledge and get people excited about what is possible. 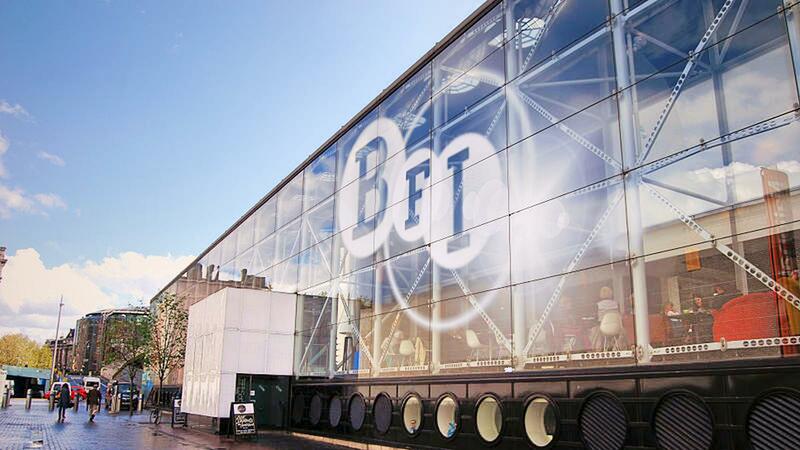 We were invited to work with the BFI on their Virtually Summer programme and kick-start it with a 360 filmmaking workshop hosted at the BFI, Southbank. The workshop was run by our very own Mary Matheson and Richard Stegmann. The workshop was open to 16-25-year-olds and allowed us to share an introduction to the industry, 360/VR filmmaking, tips and tricks that we had experimented with and get a group of future filmmakers to get hands-on experience with doing their own 360 filming. Mary Kicked off the day with an introduction to the 360 and VR industry, with identifying the differences, who is currently using the medium and what content we at Surround Vision have been creating on our own immersive journey through the technology. Mary shared her thoughts on jumping into the unknown world and ‘Immersion’ is stepping into a new world rather than peering through a window. She also touched upon the importance of this leap into the unknown and how viewers can feel vulnerable when putting on a headset and headphones. 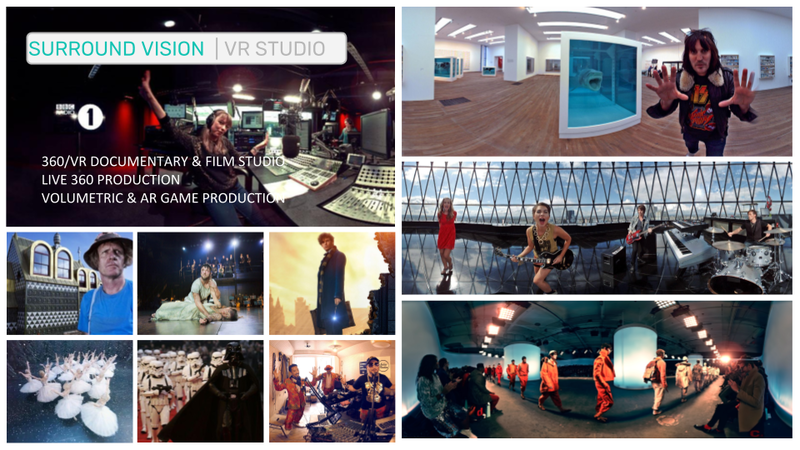 The language of 360/VR…small successes and embracing failure. It’s all about experimenting and learning. Before the group would jump into a storyboard session there were some great thoughts and tips shared that would help the group get started and think about how they were going to attempt their first shots in 360. Top things to consider when planning the shots and storyboarding is to think about the director’s cut. With no framed borders to guide the viewer’s attention, how are you going to get the audience to follow the story the way you want them too. With thinking about the looking through the director’s eye, we have to consider who and where the camera is. We went through three examples of the types of positionings including Embodiment (we are the camera), Buddy (talking to the camera) and the observer (present). This is a great way to think about how the audience with interact with viewing the content. Then when it comes down to the actual shots, it can be difficult to plan especially when it’s non-fiction. You might not know the location or even the story. So when it comes to planning it’s important to add a couple of things into the planning. 1. Build a recce for the shoot. 2. Take fewer and longer shots. 3. Set a realistic schedule. 4. Be prepared that the Set up can take hours and finally the actual shooting time is short. Just before we let the teams jump up and get going Richard Stegman stepped in to go through an introduction to camera’s, tips and tricks and personal experiences with using different types of 360 cameras. The group then teamed up into smaller groups and had the chance to watch some content before they got into drawing up some storyboard ideas. We showed our recent project The Female Planet which gave them a great stepping point and could ask more questions about the shots and processes behind it. Once the storyboards were written up, each group got introduced to the camera they were going to be using and how to use it. (We used Fusion and Samsung 360 on the day). Being located in the BFI on the Southbank gave the groups fantastic options for locations, including the BFI itself, the Southbank and one group even went up to Waterloo station to take their first shots. We thoroughly enjoyed the day at BFI and enjoyed introducing virtual reality to people who’ve never had the chance to before. A huge thanks to everyone involved and to everyone who came!